Singer and actor Kim Hyun Joong will be carrying out his military service as a border patrol. Kim Hyun Joong entered the army on May 12, and has since been going through basic training. According to a source in the military, he has now received orders to serve in the city of Paju, Gyeonggi-do, which is located just south of the border with North Korea. On the morning of June 18, Kim Hyun Joong attended a ceremony that marked the completion of his basic training at the 30th division recruit training center. On June 19, he will be heading to Paju, where he will take up his post as a border patrol with the 30th division. Normally, soldiers are permitted to go on leave for a brief period or visit with their families or friends after their completion ceremony. However, according to the military source, Kim Hyun Joong and other soldiers will not be able to leave the base or have family or friends come visit them due to the MERS scare. 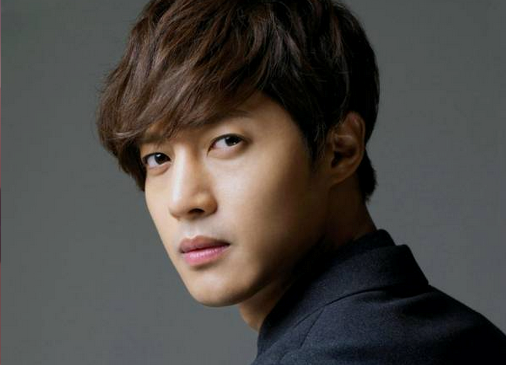 Meanwhile, Kim Hyun Joong is currently still in a legal battle with his former girlfriend. She has filed a lawsuit against him for 1.6 billion won (approx. $1.44 million USD) in damages. Kim Hyun Joong’s representatives have stated that they are preparing a counter-suit for 1.2 billion won (approx. $1.08 million USD) for damages from what they state to be her groundless allegations of pregnancy and miscarriage. Kim Hyun Joong is expected to be discharged from military service on February 11, 2017.